From airport transfers to corporate travel or private hire for that special occasion, CitiCar’s fleet of premium vehicles and courteous drivers gives you the comfort and convenience of a private chauffeur – without the celebrity price tag. CitiCar services operate 24 hours a day, 7 days a week, 365 days a year in all major Australian cities. Book online at your convenience or call us today on 1300 661 119 to arrange your next chauffeur-driven CitiCar experience. Without the celebrity price tag! Everyone loves the idea of travelling, whether it’s a high flying executive lifestyle, or regular weekends getting away from it all. But sometimes the practical realities of travel aren’t as glamorous as the dream! If you travel frequently for business or pleasure, you’ll be only too familiar with slow lane buses, trains that seem to make up their own timetables, and taxis whose call out fees smell as fishy as their upholstery. 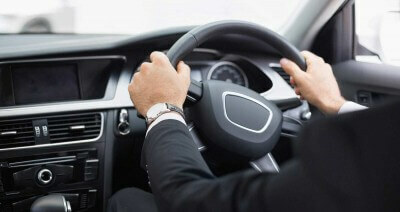 Our chauffeured drivers operate 24 hours a day, 7 days a week, 365 days a year in most major Australian cities. We pride ourselves on pristine vehicles, a convenient booking system, courteous service and the highest standards of efficiency and punctuality. So what else is there to love about CitiCar? When you’re flying into a new city, the knowledge that an efficient airport transfer service is waiting for you on arrival takes a load off your mind. Your CitiCar driver will greet you as you disembark, assist you with your baggage and provide a comfortable, timely journey to your hotel or meeting venue. 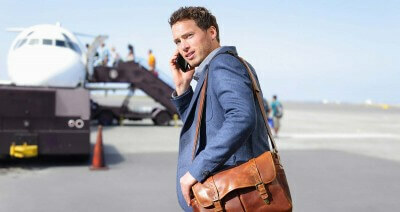 CitiCar are the corporate and airport transfer specialists. With spacious, well-maintained vehicles and fixed price quotes for every journey, you can sit back and relax as you travel to and from the airport. Use your journey to plan your meeting strategy, or get yourself into holiday mode – either way, CitiCar helps take the stress out of travel. With years of experience in corporate travel services, CitiCar understands the particular needs of the business traveller. Whether you need airport transfers or travel between meeting venues, you want seamless transport from A to B in a car that respects your suit! Our clean, comfortable vehicles give you room to move – plenty of space for your briefcase, laptop or product samples, without cramping your style. There’ll be no need for awkward ‘hands free’ phone calls on the way to your next meeting, either. Why not chat safely to colleagues on the phone or online while someone else takes care of driving, navigating and finding a park? We are also experienced in managing corporate accounts, giving you the option to book transport when you need it and pay via a monthly invoice. Your accounts department will thank you! Hassle-free arrangement of conference transportation is another way CitiCar serves the business community. Need a fleet of vehicles to welcome delegates at the airport? Or a smooth transition from your seminar venue to an evening function? CitiCar offers the highest standards in service and value without the expense of a luxury limousine. Ensure your attendees feel welcome in your city and don’t miss a minute of the event with our impressive, well-organised transportation. Choose from roomy sedans, stylish coaches or luxury people movers, depending on your crowd numbers and budget. What’s more, a dedicated CitiCar events coordinator will liaise with you throughout the event to keep everything – and everyone – moving smoothly. Unforeseen scheduling changes or last minute arrangements are not a problem for us either. Our efficient planning professionals are only a phone call away, 24/7. The CitiCar experience is not just for the business elite. Got a special occasion coming up? Don’t spoil your next night out with the inconvenience of a taxi queue. Arrange a CitiCar private limousine to meet you at a time and location convenient to you and finish the evening in safety and style. And why not arrive at that job interview or social meet up in a CitiCar luxury vehicle? Our fleet includes the BMW 7 series, Mercedes S Class and other premium sedans, maintained and serviced to strict manufacturers’ guidelines. Make a great first impression and be on time, every time, with CitiCar. 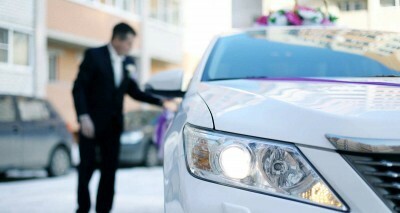 CitiCar is a respected national network of professional chauffeurs providing exceptional service at competitive rates. We understand that business travellers want quality vehicles and outstanding service, without paying extra for a sunroof and a mini bar! That’s why we’re the preferred chauffeur service for Australia’s frequent flyers. CitiCar services most major cities in Australia including Sydney, Melbourne, Brisbane, Adelaide and the Gold Coast. For all other areas, please call and we can arrange a pick up for you through our national limousine network. Book online at your convenience or call us today on 1300 661 119 to arrange your next chauffeur-driven CitiCar experience. Choose CitiCar for exceptional service and great value on any business or holiday journey. Our team has recently started using CitiCar for our day to day transfers for executives. The service has been outstanding, cars immaculate and the price is the best on the market! I cannot recommend this service highly enough for anyone wanting to streamline their business transport needs. I have been an avid user of CitiCar since the 80’s and even though I have strayed from time to time and used other services, I have always found myself coming back to the reliability and professionalism of CitiCar. 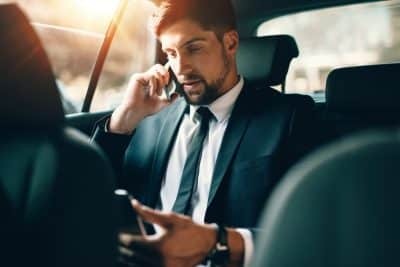 The fact that they have nearly 50 years’ experience around Australia illustrates that you are dealing with one of the best chauffeur services available. After yet another taxi not showing up to a booking, we called CitiCar for a last minute transfer to the airport. Their staff were friendly, the cars were clean and the chauffeurs were very professional. They sent a car to us in record time and we were at the airport safely in no time. We will be using CitiCar for all our future transfers.